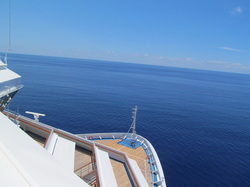 Please Like RyG's Cruise Guide on Facebook For Cruise Tips, Articles, and More! Why Set A Cruise Budget? The goal of a budget is to help you track your money and how you plan on spending it. A cruise budget is not different from any type of regular budget except you are going to be budget money for a cruise vacation. You should consider setting a budget for your cruise if you are interesting in tracking your cruise and vacation expenses or if you don't want to spend too much money on your cruise vacation. This page of RyG's Cruise Guide will give you a blank budget template that we created. However, if you do not stick to your budget doing this will be pointless. Keep in mind that your budget will only work if you stick to it! I created this blank worksheet to try to help you budget for your cruise. Work slowly and carefully plan out your budget!